He's been accused of sexual assault by more than 50 women. Bill Cosby clearly has a very thick skin. 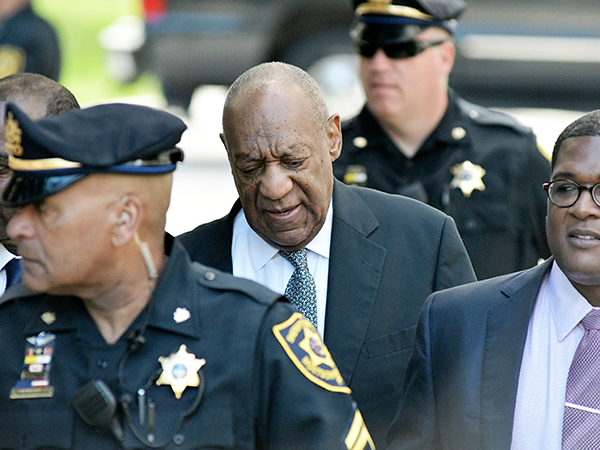 Despite being accused of sexual assault by over 50 women, his publicist released a statement recently saying that the 79-year-old former Cosby star is planning on teaching teens about sexual assault prevention in the next few months following his mistrial. “We’re now planning town halls to talk to young people because this is bigger than Bill Cosby," his publicist, Andrew Wyatt, said. “This issue can affect any young person, especially young athletes of today, and they need to know what they’re facing. He added his celebrity client was keen to "go home and spend time with Mrs Cosby and his children" after a Pittsburgh, judge announced Cosby's sexual assault trial "a mistrial" after the jury became deadlocked. Cosby pleaded not guilty to Andrea Constant's allegations that the actor drugged and sexually assaulted her in 2004. A new trial date has yet to be set. Cosby, who pleaded not guilty, could have faced up to 30 years in prison. He has denied all allegations put forward by the other women too.